Cuba says Obama's move to drop the country from a list of state sponsors of terrorism was "fair". The Cuban foreign ministry on Tuesday welcomed President Barack Obama's move to drop the country from a list of state sponsors of terrorism, saying it was "fair". 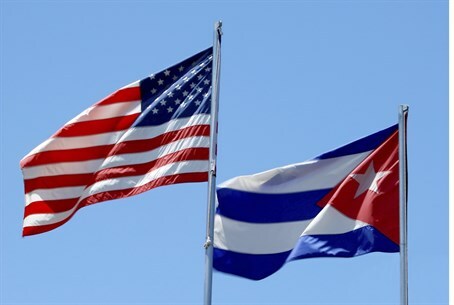 "The government of Cuba acknowledges the fair decision of the president of the United States to take Cuba off a list on which it should never have been included," said a statement signed by Cuba's top official for relations with Washington and quoted by Al Jazeera. According to a White House announcement earlier Tuesday, Obama had initiated a State Department review following which it was decided to remove the country from the list. Removing Cuba from the terror list could pave the way for the opening of a U.S. Embassy in Havana and other steps, noted Al Jazeera. Meanwhile, Republican presidential candidate Jeb Bush also responded to Obama’s move, saying it was another example of the president’s "tendency to unilaterally negotiate." "We're not a step closer to freedom in Cuba because of the steps the president is taking," he told reporters after a speech before the annual meeting of the Ohio Chamber of Commerce, according to The Washington Post. Asked whether the next president should put Cuba back on the terror list, Bush said, "I don’t know, I’d have to see, I don’t even know what the status will be at that time." Obama’s announcement came after he met with Cuban leader Raul Castro over the weekend, a move that caused Bush to wonder why Obama met Castro but snubbed Prime Minister Binyamin Netanyahu last month when he was visiting Washington.